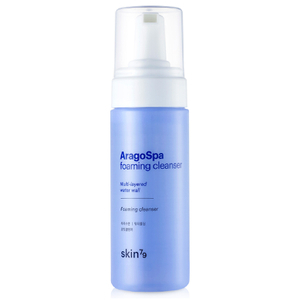 Refresh your face with the Aragospa Foaming Cleanser from Skin79. Formulated with micro bubbles, the formula thoroughly cleanses the skin without causing irritation. The foaming cleanser washes away dirt, makeup and impurities, resulting in a rejuvenated complexion.